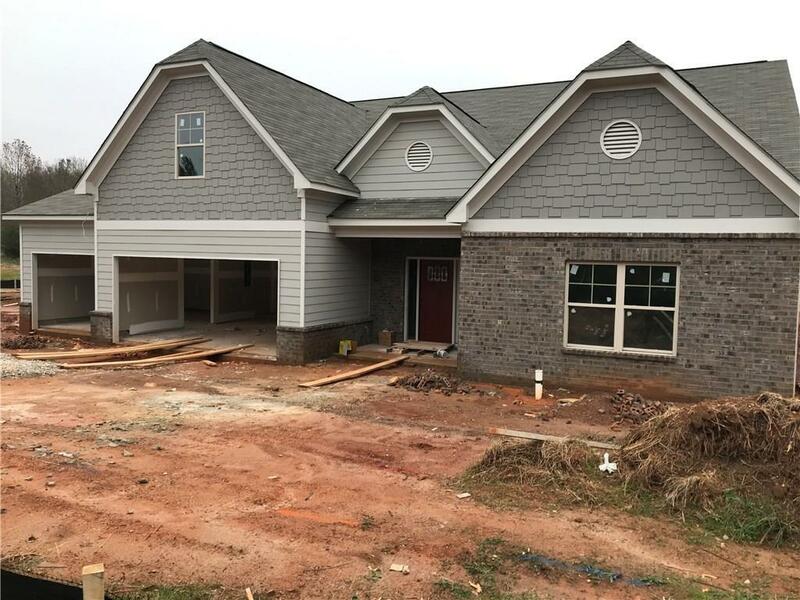 109 Morris Creek Drive, Hoschton, GA 30548 (MLS #6083954) :: Julia Nelson Inc. The Jackson I plan, 4BD/3BA. Finished up has 4th BD/3rd BA. Open plan with 11ft vaulted great rm w/fireplace. Kitchen has island with bar stool seating, tile backsplash & walk in pantry with dining area off to side. Owners suite has tray ceiling & large bath with sep enclosed shower, sep garden tub & huge walk in closet. 2 secondary BDs share full hall bath. Laundry on main. Covered Porch w/outdoor fireplace. Under Construction. Sample Images.